After a trip to Prague, I recount here what we could learn from our Czech neighbours in the sphere of design. I am going to make my case without finger pointing, accusations, or blame, because at times it is perfectly enough to just have a look at what works. My affair with Czechdesign began many years ago, when I discovered that there was a team of young people, actually quite nearby, who believed in the success of Czech design. I wanted to have a close up look at how they worked. Observe at arm’s length a functional model, see a positive example with my own eyes, and gain assurance that we could also do this at home, in Hungary. Not just could, but must. It only really dawned on me when our train reached central station that I was not a critic, now, but a traveller taking a curious, interested look around a strange country. There and then I decided that none of my sentences would begin: “Of course, the Czechs are far ahead…”. All I want is to find out how they do it. How a small team has been able to run such an organization, of the kind we do not have in Hungary – though we could – for over a decade now. In this study on Czechdesign I also cover some Hungarian parallels, similarities, and differences. The point of departure is the organization’s – largely Czech – website, the structure of which presents an ideal guideline for raising the more important issues in design. I wrote my e-mail mentioning the activities of Czechdesign as an example to be followed on 2 May 2016. I sent it to my boss of the time, Gergely Böszörményi-Nagy, manager of Design Terminal. So far as I remember we were told to formulate the projects we would like to work in, and how this could be realized at Design Terminal. I came across this organization a while back: Czechdesign – Prague (2003–), independent organization, young Czech team in the Czech capital. 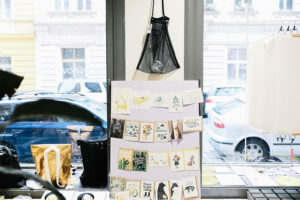 The Ministry responsible for culture, the first District of Prague, and the Municipal government of the capital supports their activities, and the team has grown to number 40 members over the years (…). They organize exhibitions, keep track of applications funding design, survey market demand, connect companies to free-lance designers, maintain a serious database (of designers with 5,700 contacts), publish specialist reports and articles on their own website (social design, design in practice, future design, etc.) of importance and interest to the profession and lay readers as well. They launched their consultancy program in 2013 under the name CZECHDESIGN/Lab (if I understand correctly, this presents the usefulness of design primarily to corporations and businesses). They have separate services for designers and for the corporates/businesses. They make the latest professional and funding, or other opportunities available to designers, and provide occasions for consultation to businesses, hooking them up with the right designer (graphic, developer, formal design, etc.). I did not receive a reply to my message, though I do refer in it to a meeting the following day, where I would present the all this in person, but I can’t remember if the meeting happened. Not much later, Design Terminál was transformed: support for classical design enterprises were taken out of their portfolio almost completely, with a shift to mentoring start-ups instead. Earlier initiatives – offering Hungarian designers opportunities for public presentation of their work, professional guidance, and advice on business development – were discontinued, transformed, or passed on, as projects, to other organizations. Design Terminal, which began as a non-profit organization, then continued as an independent budgetary organization supporting “creative industry ventures to enter the Hungarian and international market and there function efficiently” in various fields of specialization (innovative technologies, design and industrial design, the fashion industry and design, urban planning and environments). Due to the shift of focus, domestic brands and ventures working in these fields, cannot find another organization to which they could turn to on similar issues at the moment. I worked for a bit over three years at Design Terminal, mainly in projects focussed on design. 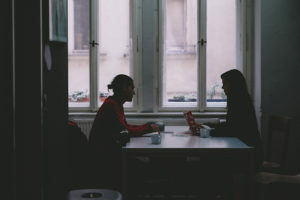 With initiatives of this kind coming to an end I felt I did not want to stay either: I became a freelancer, but took leave of the team with a sorry heart. 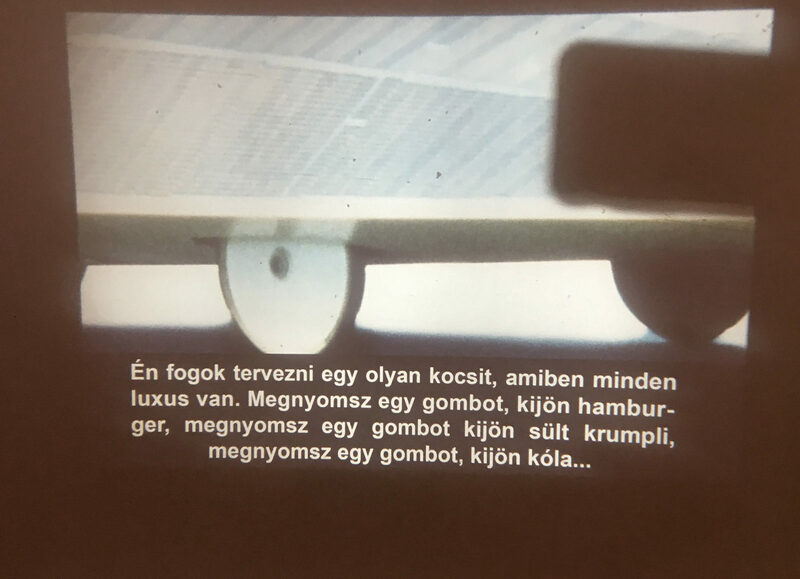 I continued to work in the field of Hungarian design, not forgetting Czechdesign either, whose activities I followed – after freshening up my rusty knowledge of the Slovak language. In light of our shared past and sociocultural experience with the Czechs, the Czechoslovaks (especially true of me), it would be especially worthwhile to examine how the institutional system of design and the relationship of design and the economy has changed in the two ex-socialist countries, Hungary and Czechoslovakia, then later in Slovakia, and where we have arrived as a result in 2019. A historical and political-economical overview would certainly yield interesting lessons with regard to the role and situation of the culture of objects, designers and the state at the time, but this is not the goal of my present report. A bit fazed by the long train journey, we set out nevertheless with redoubled curiosity for Vojtěšská Street. This is where the headquarters of Czechdesign is found: an office, a gallery and a design shop all rolled into one. The shop sells objects by their designers, and an editorial is underway in the office. In the meeting room at the back of the office Hana Havlová and Kamila Matějková receive us. Hana deals primarily with the search and passing on of jobs, while Kamila manages the whole gamut of design projects and funding. In fact, the editorial office is not all that crowded at the moment: many colleagues are out at the Designblok, currently under way, and we only manage to catch Veronika Pařízková, the chief editor of the online magazine, for a quick introduction – she is setting off for the Eastern Design Conference in Košice. Our first questions to Hana and Kamila were about the circumstances of Czechdesign’s formation. In 2003, a few graduates of UMPRUM (Vysoká škola uměleckoprůmyslová v Praze), that is the Prague academy of applied arts decided to create a webpage to publish articles about Czech designers, with the portfolios of the designers also accessible on the website. The Czech Design Center (Design Centrum České republiky, 1991–2007) established in January of 1991 and still in operation at the time, can be related to our Design Centre in Hungary, which effectively – not only in name, but also in purpose – began its operations in 1997. The “task and goal” of the Hungarian Information Center for Industrial Design, or Design Center was “to help the development of industrial design in Hungary. To help raise the qualitative standards of our industrial products and material surroundings through the wide dissemination of the values of design, and improvement of the conditions of design work.” The Hungarian Chamber of Commerce entrusted the foundation of the Design Center to Mihály Pohárnok. Similar forces seemed to be at work in the formation of the institutional system for design in Czechoslovakia and Hungary, which may not be so surprising in view of their common socialist past. Nonetheless the Czechs seem to have succeeded better at keeping their focus: in a state-institutional setting, subject to constant reforms and shifts in approach, a solid base that would have been able to represent the interests of Hungarian designers and their work could never materialize. In contrast, the Czechs seem to have succeeded in tackling the apparently insoluble issue by establishing Czechdesign as an independent organization. 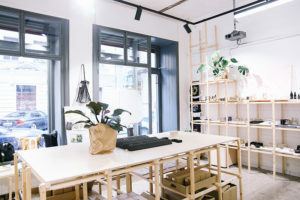 The organization is not alone in its commitment to Czech design: among its partners we find the Czech Ministry of Culture, the leadership of the first district of the Prague Municipality, as well as the Czech IKEA, the publishers Kniha Zlín, and the corporation Model Obaly, to mention only a few. The latter partners with Czechdesign to organize the over 20-year-old international competition for packaging design called ’Mlady obal’ / ‘Model Young Package’. The subject of the competition in 2018 was ’Coffee Mania’, and over 700 designers from across the world took part. 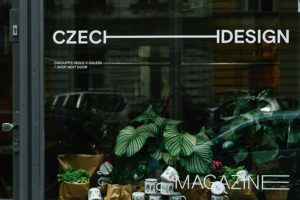 Czechdesign undertakes not only the management of the competition, but – in the framework of the partnership – it also publishes news items, reports, and interviews on its website. As the current team sees it, the founders wanted an emphasis on the presentation of the designers’ portfolios, but the response fell short of expectations. Therefore the small team had to reach out and establish personal, live contact with the designers themselves, and shape the structure and content of the online platform along a suitable strategy. Most of the content seeks to serve category 1), readers interested in design. Many forms of knowledge building and dissemination of information are used: 2–3 articles appear on the website every day, reporting on the latest innovations, reviewing design events, presenting a designer or collection, gathering the most important news of the Czech world of design in one place. There is also an ’opportunities’ section, where workshops, presentations, exhibitions and open funding opportunities are posted. This content can be important to professionals, that is, category 2), designers too. Czechdesign offers a preview of what to expect when working together with a designer (preparation and presentation of the quote and brief, deadlines, honorarium, labor fees, percentage-based success fee etc.) in a publication of its own. This manual also presents those success stories in which Czechdesign declaredly had a major part, and also serves evidence of the fact that design has value in terms of building a business. One of the most important columns is the job offers. According to the Czechdesign staff a majority of those visiting the website are most interested in this content. The column is updated continuously: jobs relevant to creatives (graphic artists, art directors, design managers, industrial designers, interior designers etc.) seeking employment or looking for work are collected here. As Hana describes it, this is no easy task, for it requires constant monitoring, browsing through various employment portals, and filtering out the appropriate, relevant adverts. Fortunately the number of those who contact Czechdesign directly as soon as they need creative resources is growing fast. Perhaps the most important target audience of Czechdesign is industries, companies, and business ventures. Not only do they gather the most current design opportunities, they themselves coordinate both open, and invitation only competitions, offering all-round consultation opportunities to those businesses who want to develop their management capacities by means of design, or are simply seeking the right designer, whether for an image or product design, or the repositioning of an already existing product. This may be the most difficult task of all: transforming the approach to design, not only among everyday users, but a company or business leader, or entrepreneur. Convincing decision makers about the added value of design. Connecting the people on the market who sometimes don’t even know about each other’s existence, and therefore have no idea about the creative and economic potential they can unleash by working together. Kamila hands over a small blue book from among the publications placed on the table, with the following inscription (repeated thrice): YOUR DESIGN HERE: . The Czechdesign guidebook collects all the practical advice marking out the way to set out on a fruitful partnership: it gives orientation on what to expect from the details of the cooperation with a designer (professional brief, deadlines, honorarium, labor fees, percentage-based success fee, quotes, etc.). It becomes apparent through the success stories presented in detail in this publication that design has a value for business development (as well). One example is the project partnered with the Czech company Aveflor: the company manufacturing veterinary and other medical products was looking for designers and got help from Czechdesign, hoping to increase sales by rebranding one of their products. The result of the invitation only competition was a clean, characteristic package that sold 77% more of the product than the previous year. These success stories also appear on the website in the form of short, catchy case studies, as in the case of the cooperation on visual communications with the Prague National Gallery, or the coordination of the rebranding of the Czech chocolate, Kofila. Numerous positive examples in the portfolio of Czechdesign show the power of design to revive an already existing brand, product, or line of products being prepared to go on the market. In addition to all this, Czechdesign also runs an independent webshop: the products found in their design shops are also available online (for the moment, primarily to a domestic clientele). It seems Czechs understand and like design, and have additionally learned how and in what way to speak about it so that the heads of corporations and business owners also recognize this. They are certainly well ahead of us in this. It is not only my meeting with Czechdesign staff that has made me think this way. I have twice been to the event Designblok: at the sight of the long lines at the ticket booths in both 2017 and 2018, I had the feeling that Czechs not only like design, but are also willing to dedicate time and money to it. In this we certainly lag behind the Czechs, however intelligently we would try to adopt what we had seen the Czechs doing. I think of Czechdesign as an ideal example, one to be followed. As to what could be the reason a similar organization or platform did not come into being in Hungary? We will review the reasons in a later study. One thing we can be sure of is that the aforementioned Design Center, or to be exact, its successor, Design Terminal Ltd. once raised the notion of establishing a website, designinfo.hu, aiming to produce content similar to that of Czechdesign (general information, methodologies, funding applications, lists of professionals, design history, etc.). However, it all seems to have been forgotten. This story is to be unfolded later though, and promises to give us an opportunity for a little heart-searching. I look upon the report prepared in the framework of the East Art Mags program as a preparatory study: while important questions from the point of view of the subject are not put entirely to rest, I am able to direct attention, by touching upon these issues, to design as an everyday phenomenon we live together with. In the final run, this is my objective. Due to lack of space I am unfortunately not able to properly discuss the Prague international design festival, Designblok here, an event that celebrated its 20th anniversary this year, and which might hold a mirror to us, the professionals and followers of design in Hungary, as does Czechdesign. In 2017 and 2018 I had a chance to be the project manager of Design Week Budapest, and also organized the Christmas design market founded by Design Terminal, the AT Christmas (under contract to Hybridart Management Ltd.), and in addition also began to work with a Hungarian design brand (DOT for You). In the course of my stay there I had the opportunity to personally meet Klára Peloušková, chief editor of the online arts magazine artalk.cz, who worked on this subject in her thesis titled “Economic policy, ideology and industrial design between 1969 and 1998”. There is no room unfortunately for me to give a detailed account of Klára’s work, but certainly: the facts and data she has gathered for her work will be of great help to me in my following study. The predecessor of Czech Design Centre was the Institute of Industrial Design (Institut průmyslového designu). “The chief task of the Institute for Industrial Design is to shape and develop general trends of design appropriate for the needs and demands of the socialist society, as well as to fit industrial design into the overall structure of the people’s economy. Through its practical and research activities the Institute serves to satisfy consumer needs of an ever higher standard.” “A formatervezés szervezetei néhány szocialista országban” [The institutions of form design in some socialist countries], in Ipari Forma [Form and industry], 1976, 15. “Az ipari formatervezés szervezeti élete Magyarországon. Krónika 1945–1975” [The organizational life of industrial design in Hungary. A chronicle 1945–1975], in Ipari Forma, 1976, 11. 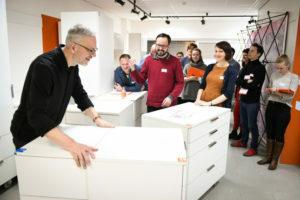 IKEA and Kniha Zlín Publishers are cooperating partners who assist the Czechdesign team in the making of one column each. Model Obaly launched the competition in 1996, and then as the competition grew more popular they asked the Czechdesign team to help coordinate it from 2009. Organizers invite entries in two categories: not only university students and designers, but high-school and vocational school students can also enter the competition. The best receive monetary awards, and one of the competition winners has an opportunity to spend three weeks of paid professional training in the innovations workshop of the company Model Obaly. The winner of last year’s competition was Veronika Janecková, who gained the jury’s appreciation with the biologically degrading coffee capsules of her submission called ‘Save the ocean’. An interview with her can be found here. Five new posts daily on social media platforms: Facebook, Twitter, LinkedIn. Insight into the work of the designers would be afforded by the column ‘Design v praxi’, or ‘Design in practice’, which unfortunately does not have content to this day, but there is no doubt a great need for it. As the most widely read online design magazine they are in a position to offer their external partners advertising spots – primarily those companies and businesses whose services and products can be of interest to young designers and readers with a love for design. This is one of the economic pillars on which the operation of Czechdesign rests. The attention-grabbing first words are completed with the following subheading: CZECHDESIGN NAJDE DESIGNÉRA PRO VÁŠ PROJEKT, or “Czechdesign will find the designer for Your project”. This article was written and published in the frame of East Art Mags programme with the support of Erste Foundation.